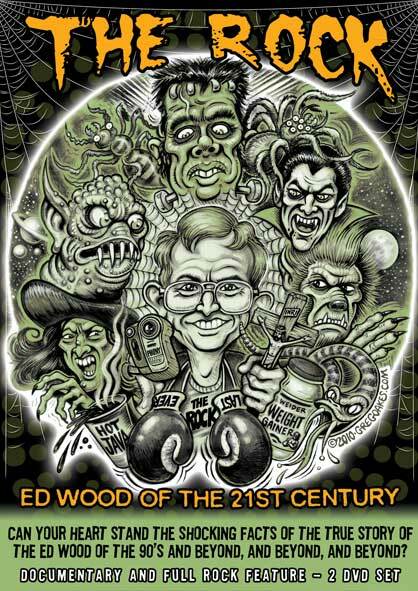 “The Complete Bob Wilkins Creature Features” by November Fire! There is no question that one of the most enduring and influential Horror Hosts of all time was the late Bob Wilkins from the San Francisco Bay area. Less garish than that of many hosts, Wilkin’s style was about as simple as one could get; Just your average guy wearing glasses and sitting in a chair while smoking his cigar. Yet through his dry wit and demeanor was a charm that was undeniable. Having grown up in Chicago, I did not become familiar with Bob Wilkins until shortly before starting this blog. A friend I’d met at the 2010 Horrorhound Weekend saw my interest in learning about hosts and sent me some clips from one of his favorites – Bob Wilkins Creature Features. I devoted an entire Sunday afternoon to Wilkins and, by the end, felt as if I’d known him since youth. I had little doubt that if I’d grown up in that region of the world, I’d have been a huge fan and this is not something I’d say about every host operating in tandem with my beloved Son of Svengoolie. Thanks to the folks at November Fire, Wilkins fans have cause for celebration while those less familiar have a great opportunity in becoming one. They’ve also put out some great fan inspired DVD’s including one that spotlights one of my local Chicago personalities (for better or worse), David “The Rock” Nelson. I met Mr. Nelson last June at MONSTERBASH and I can tell you that November Fire’s DVD absolutely captures his essence! Their latest offering features a year by year overview of the hosting career of Bob Wilkins, beginning in 1966 at Sacramento’s KCRA Ch. 3 and ending in 1981 at KXTL Ch. 40. 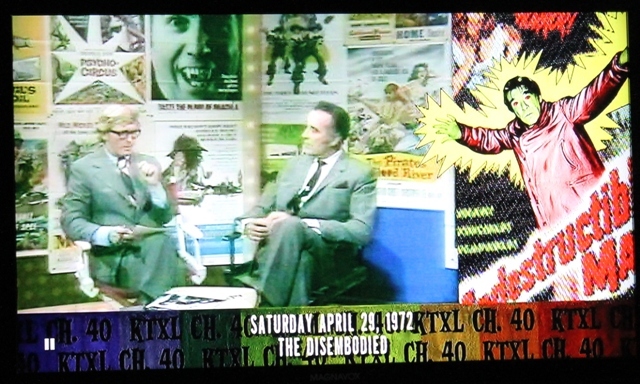 The screen is split three-ways and features vintage interviews, TV show bumpers, and commercials along with the colorful and “pulpy” poster artwork of some of the great (and not so great) horror films Wilkins hosted. At the bottom of the screen is a chronological listing of every movie Wilkins presented along with their air date. 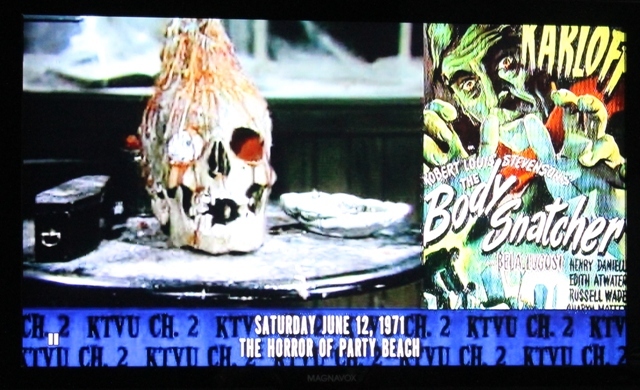 Thanks to this DVD, I now know that just a few hours before I was born, Wilkins aired HOUSE OF FRANKENSTEIN! 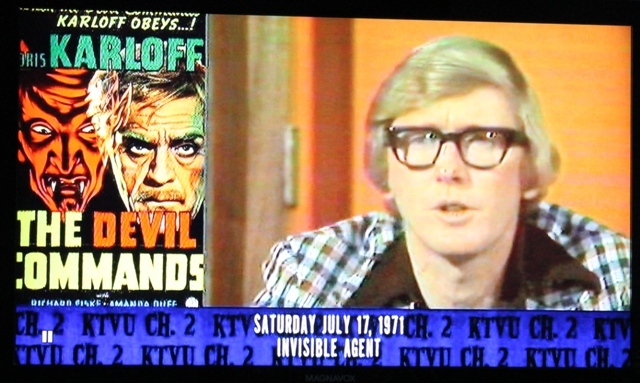 Of the interviews shown are those both being given to, and conducted by, Bob Wilkins. Some of the notable celebrities Wilkins had as guests were Christopher Lee, John Carradine, and Donald Sutherland. This DVD should not only appeal to established fans of the late “Creature Features” host but also folks like me who want experience what our childhoods would have been like had we grown up out West! This is the perfect way to not only get a feel for Bob Wilkin’s Creature Features but the odd sensation that he was your host too! This entry was posted in DVD/Blu-Ray Review, Horror Hosts and tagged Bob Wilkins, Bob Wilkins Creature Features, HORROR HOSTS, November Fire. Bookmark the permalink. 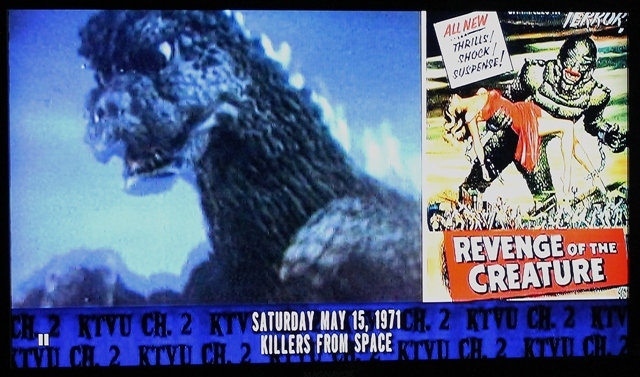 ← Svengoolie Godzilla Interview! His favorites and why?